Everybody seems to stand up and take notice whenever Elk Studios releases a brand new online slot and it really is no surprise. They have always made it well known that their policy is not to just keep churning out titles but instead take longer with each one to ensure that it meets their high standards of quality and playability. Bloopers are one such online slot by this Swedish developing firm that we feel deserves all the praise it gets from players. Themed around a Hollywood studio and all the hilarious bloopers that can occur when filming a new movie or television show, Bloopers really is an online slot that we think players will love. Tha action is played out over 5-reels and the online uses a 243-ways-to-win format that has always been popular at the online casinos. An RTP of 96.10% is pretty decent without being spectacular but with a medium to high variance, there will always be the potential for the payouts to be big when they come around. Check out the rest of the review to learn more. As you might expect from an online slot from Elk Studios, the graphics are big and bold and extremely well done. The various animations in the game are also of a high standard and quite funny on occasions as well. As for the interface, again this is very big and brash with the reels taking up almost the entire screen. Setting your bets is easy and you really only have the big spin button to hit which is to the right of the screen. This has been designed to work with touchscreen mobile devices as well computer devices, which is also a massive plus for Bloopers. On the reels are a bunch of playing card symbols which is where your smaller payouts will be coming from but it is the actor,actress, the clapper board and the reel of film that will be the symbols you will want to land the most. That is arguably apart from the Wild Bloopers wild symbol and the Walk of Fame scatter symbols of course. Once you are ready to get playing you will have to first decide on how much you would like to bet on each spin that you have. This can start at 0.25 per spin and be increased incrementally to be as high as 100.00 per spin. The first bonus we will describe on the Bloopers online slot is that of the randomly activated Bloopers Bonus that can happen in both the base game and in the free spins round. When this round does kick into to action you will know about it as one of the games main characters will take a walk across the reels and reward you with one of five different mini-games depending on whether you are in the base game or free spins round. When in the base game, it will always be the sound tech that walks across the screen and he will reward you by placing some sticky wilds on the reels before giving you a free respin of the remaining reels. Stunt Man – He will turn all of the visible wilds on the screen into expanding wilds. Cutter Guy – This guy will bring some falling symbols your way that will help to create further winning combinations on the reels. Make-Up Artist – When you see the make-up artist, you will be given a random amount of free spins. Fix It Guy – This guy will jumble up all the symbols on the reels to potentially give you some additional payouts. All of the above, when activated during the free spins round, can add further potential to the already lucrative bonus round. 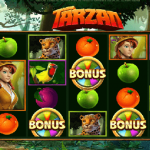 It is excellent game features like these from Elk Studios that really allow their slots to standout in the crowd. Good graphics are nothing without good features to back them up. Elk Studios love to be different and they have even made their free spins round a bit different to what you will see elsewhere. Activated when you manage to find three or more of the scatter symbols anywhere on your reels, you will be given a number of free spins. There is no number specific number, however, as once this round is activated, either the male or female leading star of the movie will appear as sticky wilds on the 2nd, 3rd and 4th reels. 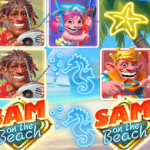 All other positions on the reels will spin with the free spins and this round will only end when you have found more sticky wilds that have completely covered up those three middle reels. So essentially, this round could go on for a good number of spins or could be over within a couple. We know which you would prefer. We have always loved the work of Elk Studios and Bloopers is another of their online slots that we just adore. They really try to be as different as possible without messing around too much with formats that many players are used to. There are some fabulous graphics on this slot which will appeal to those that like their action to be top-quality and in HD format. For those that are more interested in substance over beauty, they are catered for as well due to the excellent features and the enjoyment that can be had from those and the base game itself. All in all, Bloopers is an online slot that we feel is going to be popular for a long time to come yet. It only came out last year and was good enough to make our list of the 30 best online slots already. Anything that impresses us that quickly usually sticks around for some time. We all have different opinions though, so the best way for you to form your own is to go and try it out for yourself.